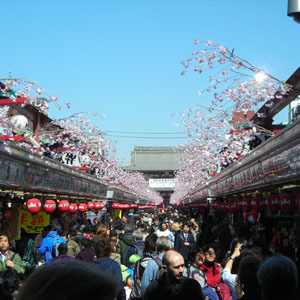 From bustling cities to quiet mountain villages, experience the distinct flavor of Japan during this amazing vacation. Of course, you'll visit Japan's famous sights, including many of its castles and shrines. In Kyoto, see the Temple of the Gold Pavilion, a Buddhist temple covered in gold leaf, and be amazed at its beauty. In Nara, visit Todaiji Temple, a UNESCO World Heritage Site built in 752 AD and one of Japan's most significant temples. You'll also visit the traditional Gassho-Zukuri-style (joined hands) thatched houses in Shirawaka and Tokyo's Meiji Shrine, a magnificent Shinto monument set in a man-made garden. In Hiroshima, visit Peace Memorial Park and see the dome that miraculously remained standing as all the structures around it were destroyed by the atomic bombing. The dome is now a symbol of peace. On this Japan tour, you'll not only see the fascinating structures and shrines, you'll also have a chance to visit two of Japan's greatest gardens. Dating from the 1670s, Kenroku-en combines the six attributes of a perfect garden. Keep your eyes open for the perfect photos! You'll also visit Koraku-En, one of the "Three Great Gardens of Japan." But that's not all…on this tour, discover Japan's culture through special experiences arranged by Globus. Partake in a traditional tea ceremony, taste sake, and participate in a Japanese cooking class. You'll also attempt calligraphy, learn about the Yuzen dyeing technique used on kimonos, take part in a gold leaf class, browse a farmers market, and try on a traditional kimono. 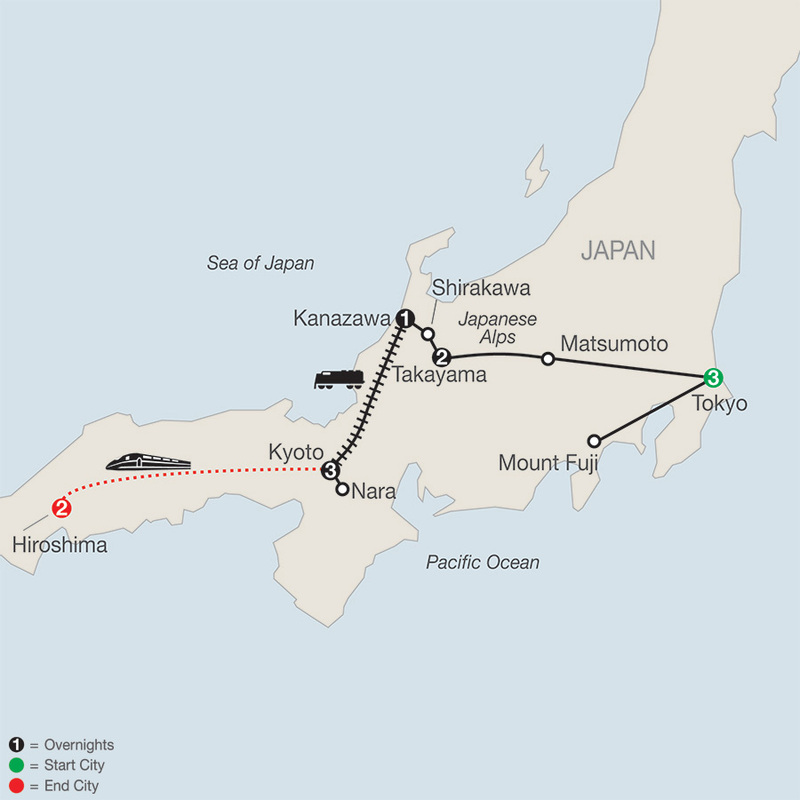 Also, experience the thrill of riding one of Japan's famous bullet trains. All of this and much more await you on this marvelous Japan tour. It's a vacation of a lifetime! $5,429.00 Includes intra-vacat... Book Now!